A Content Management System (CMS) is a web system designed to simplify the publication of web content to web sites and mobile devices, in particular, allowing content creators (website owners) to submit content without requiring technical knowledge of HTML or the uploading of files. Simply put, a Content Management System (CMS) is a software system which provides website authoring and administration tools designed to allow users with little knowledge of web programming languages or markup languages to create and manage the site’s content with relative ease. A Content Management System allows non-technical users to make changes to a website with little training. 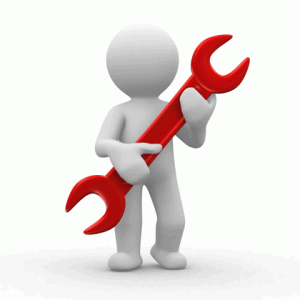 It is primarily a Web-site maintenance tool for non-technical administrators. Most web design companies charge a lot of money for a fully functional Content Management System. Most cheap web design packages do not include any Content Management System. Sometimes you might need to pay a monthly fee in order to use a Content Management System. However, here at Top Level Web Design, all of our web design packages include a user-friendly CMS for our clients without extra charges. Today’s small businesses need the ability to control their content just as much as larger companies. You don’t need an advanced design, but you do need a website that allows you to change the text on all the pages, the ability to add photographs to your pages and embed code from outside sources such as Facebook or Twitter and other social networking sites. We will design and develop your website on a powerful CMS. You can update your website content at your convenience from anywhere with an Internet access. You will have full control over your site and no programming skills are needed! We will also provide you with a step-by-step User Guide explaining how to update your website with CMS. We even provide tutorial videos to help you manage your web content.